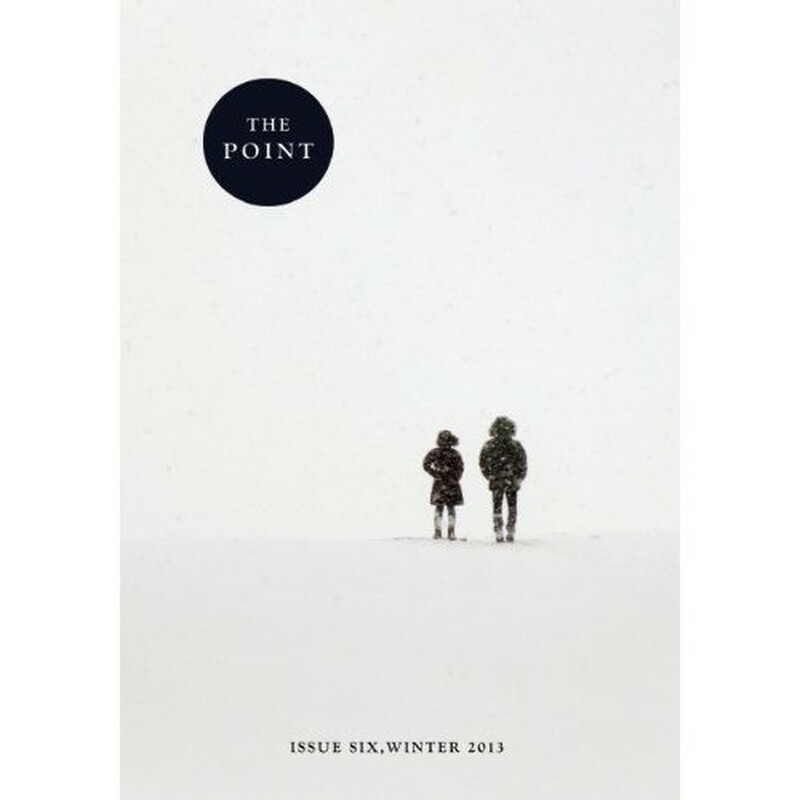 The Point, which started as an idea between three friends in the basement of Ida Noyes, will publish its sixth issue on January 26th. The founding story of The Point could easily be romanticized. It began with the conversations of three graduate students in the Committee on Social Thought over drinks in The Pub, and the decision to start a literary magazine. The result was a modest $3,000 Uncommon Fund grant, The Point, and a first issue featuring submissions from Slavoj Žižek and Mark Lilla. Four years and six issues later, the editors—Jon Baskin, Jonny Thakkar, and Etay Zwick—have kept The Point going strong. But they’ve also reached a crossroads, and the decisions they face are very real. Readers will make their own decisions, of course, but the writing in The Point demands attention. It is pertinent, considered, and insightful, with few exceptions. The arguments offer challenges, without cloaking themselves in challenging prose. Insights are garnered from and used to inform our ordinary experiences without falling into popularization. From pickup artists to boredom, the magazine is united by its constant obsession with the question of how we should live. It is this question that enables The Point to stake its claim. A bookmark I found hidden in an old copy of the fourth issue referred to the magazine as a “journal of ideas,” and there are plenty of those. Yet there are far fewer that retain a sense of why ideas are important, and why it’s important to examine them in a fresh, unadulterated light. The editors founded the magazine partly out of frustration with those already in print, but they do not aspire to be wholly unique. “What is conservatism for?” formed the topic for a series of articles in issue three; “What is the left for?” followed in issue five. These things matter, and they deserve our attention. One can only hope that they will be covered elsewhere. But that doesn’t mean they shouldn’t be covered, and covered seriously. We do encounter pickup artists, and we most certainly get bored. Issue six, which launches this month, features a series on the question “What are animals for?” As a dialogue, it lacked some of the fire of earlier issues, and I wondered if the question might have been better posed. Still, the pieces themselves are lucid and probing. David Egan’s conclusion that “there were no slaughterhouses in Fairyland” comes suddenly and forcibly, insisting on a new conception of our relationship to animals informed by our childhood selves. Elsewhere in the issue, Emilie Shumway weaves scenes from her own story as a young, jobless college graduate—“for hours I alternated between eating cookies, sleeping, and watching The Tudors on my laptop,” she writes—with a compelling look at the disenchantment of the Millennial generation. If there is one flaw in the contents of The Point, it may be in its regular “Letter to the Editor” feature (never a letter at all, but rather a collection of quotes on a common subject—this time on food). After six issues, I had grown tired of the reliance on certain authors; this was Nietzsche’s sixth appearance, Thoreau’s fourth. Yet the feature does not deserve to be scrapped completely, for it provides a delightful mélange of thoughts: Immediately after Plutarch wondering “in what state of mind or soul the first man…ventured to call food and nourishment the parts that had a little before bellowed and cried, mouthed and lived,” we hear from James Joyce how “Mr. Leopold Bloom ate with relish the inner organs of beasts and fowls.” It’s exactly the sort of stuff one might imagine coming out of the basement of Ida Noyes. However The Point chooses to situate itself going forward, the future will be bright as long as it retains its commitment to intellectual honesty. In a review in issue two on Granta, Baskin tellingly writes: “Surely in this difficult time we should support print publications like Granta, since there are fewer and fewer of them, and they are courageous and important enterprises. But we should also demand that they be courageous and important.” The Point is already a courageous publication. It has the potential to become an important one. The Point’s Issue 6 Launch Party. High Concept Laboratories, 1401 Wabansia Ave. Saturday, January 26th, 8p.m.–1a.m. Free, but magazine purchases and/or donations appreciated. Reservations must be sent by e-mail to thepointmagazine@gmail.com.